Apple announced in its media event held on October 4th that the new iOS 5 will be due on October 12. 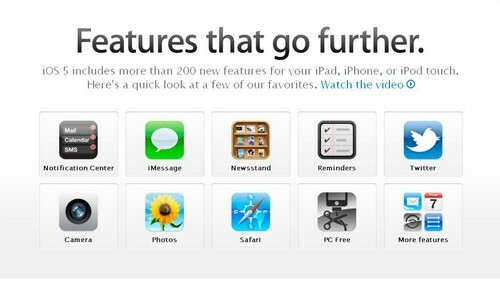 The company kept its promise and launched the new iOS 5 on Wednesday with plethora of new features. Apple claims that its latest iOS 5 version comes with over 200 distinctive features. It is not possible to cover all of these but some of the most popular features with brief description are given below for your amusement. iMessage: With this feature, you can now join hands with your iPad and iPod touch friends as well. This feature allows you to send unlimited messages to anyone having iPhone, iPod touch and iPad through Wi-Fi or 3G. The feature is integrated into the Message app so as to allow you share texts, photos, videos locations and even contacts with your friends. 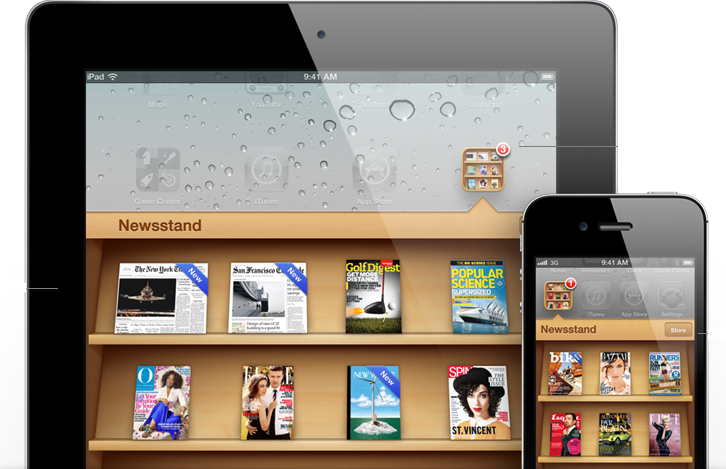 Newsstand: This feature works as a custom newsstand for all your available subscriptions. This feature helps you manage all your magazine and newspaper app subscriptions. It is basically a folder that allows a quick and easy access to your favorite publications. Apple has introduced a new place for newspaper and magazine subscriptions on the App Store. Whenever you purchase a subscription, it will automatically move to your Newsstand folder. Reminders: It is a perfect feature to organize your ‘to-do’ list. It helps you to keep remember important days and timings. You can also add locations with dates as well. This feature works with iCal, iCloud, and Outlook, so any changes you make will automatically updated on your device. Twitter Integration: The most appreciating feature of iOS 5 is perhaps Twitter integration. Now you can tweet simply and easily directly from your iPhone, iPad and iPod touch. You need to sign in from the ‘Settings’ and then you can tweet from Safari, Photos, Camera, YouTube or Maps. Irrespective of the app, you can now add a location to any tweet. Camera: Capturing a photo had never been so spontaneous. The new iOS 5 now enables you to capture a moment in a nick of time. The latest operating system offers to you open camera while still from the lock screen. Your camera now offers grid lines, pinch-to-zoom gestures, single tap focus and exposure locks. Volume up button will allow you to capture the image. Photos: The iOS 5 has improved the Photo enhancements for you. It has become fairly easy to crop, rotate, enhance, or remove red-eye and that too while remaining on the Photos app. iCloud support will help pushing all your photos to other iOS devices. PC Free: Now with latest iOS 5, you need not to have a computer to perform different actions. You can now download free iOS software updates straight to your wirelessly set up device. You are ready to perform different tasks like editing photos, adding new email folders etc on your device without Mac or personal computer. Multitasking Gestures for iPad: The iOS 5 has brought several new moves and shortcuts to move around on your iPad effortlessly. To get the multitasking bar, you just need to swipe your four or five fingers up on iPad screen. To return to Home screen, simply pinch the screen. Swiping your fingertips left or right will get you to different apps. AirPlay Mirroring: The AirPlay is only compatible with second generation Apple TV. With AirPlay Mirroring, you can stream your videos or other content on your iPhone 4S or iPad 2 to HDTV through Apple TV, securely and wirelessly. In addition to these there are certain other worth mentioning features including revamped Safari, Mail, Calendar, Game Center, and Wi-Fi Sync. Undoubtedly, Apple has some innovative spirit in its new iOS 5. All these features and many others are an obvious example of Apple’s efforts to make digital world enjoyable for its users.